Boss Dean Keates says finding a consistent level of performance will be key to Walsall having a successful Christmas. The Saddlers travel to Peterborough tomorrow before then taking on Bristol Rovers, Luton and Charlton in what is a hectic festive spell. 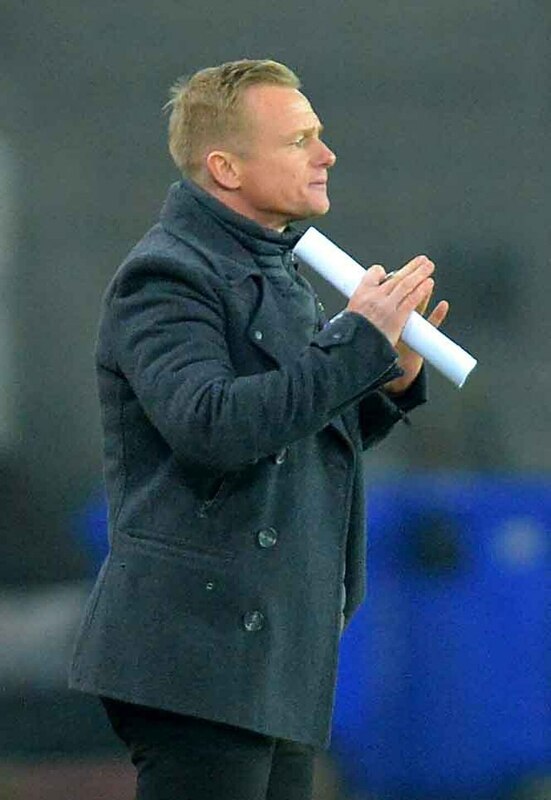 Keates’ men have so far endured an indifferent campaign which was summed up last week when they beat both Coventry and Sunderland only to then be thumped by struggling Bradford. “We have got to find that level of consistency,” the boss said. “We are going into some very difficult games. “Peterborough, Luton, Charlton – they are all up there flying. “We are going into the Christmas period. It is always busy and hectic. But we are going into proper football matches. “They are going to be a test. But hopefully we are going to stand up and be counted and get some points on the board. “We have come through a bit of a difficult patch. We started so well. We hit a plateau – we were a bit up and down. We had a few indifferent performances. The trip London Road sees Keates return to a club where he won two promotions as a player. Player-coach Russell Martin also had a successful stint in Cambridgeshire. And Keates admits tomorrow’s fixture is one he has been looking forward to. “It’s going to be a tough game,” he continued. “Steve Evans teams get in your face, he builds teams that push for promotion. He has done that down there. “I know the football club very well. I had two and a half years there. Russ was the same we won a couple of promotions. “But it’s all in the past now. It’s something that I look back on with fond memories and I’m still in touch with a few people down there. “And that’s not just through the football club, as a family down there we made some good friends.